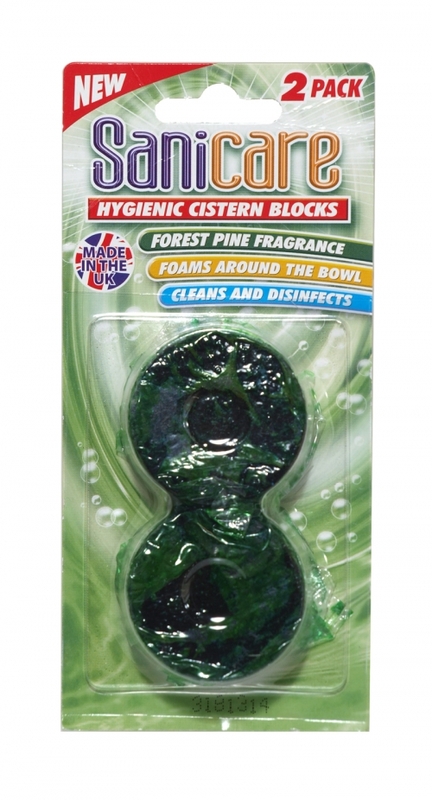 Sanicare Hygienic Cistern Blocks clean, foam, and freshen the bowl with every flush. The effect is long lasting and fights odours and dirt around the clock. They are safe to use with any cleaner or bleaches used in the bowl and harmless with all types of plumbing and sceptic tanks.